MIAMI – The Arizona Department of Transportation is working with education and business leaders to change a dismal statistic – more than 90 percent of workers in the construction industry are men, according to the U.S. Department of Labor. ADOT is working with community college leaders and contractors to integrate more women and minorities into a wide range of construction jobs, including welding, trucking, electrical work and building houses and roads. 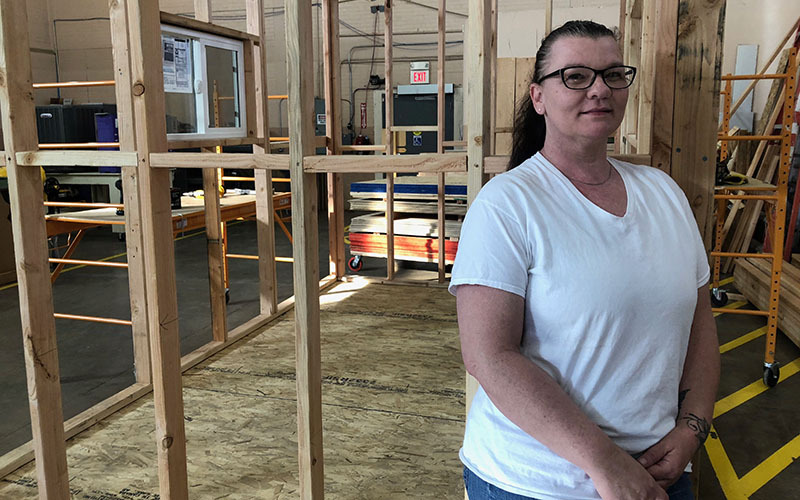 Patricia McKinley used the skills she learned at the construction academy to launch a Phoenix business, KHAVL Transport, in 2016 with just one truck. She now has four semi-tractor trailers in the trucking company, which she co-owns with her husband. McKinley said women need to lean toward their ambitions. “I think we put our own fear on ourselves, not knowing we can do it,” she said. McKinley said it was intimidating at first being the only women in her class, but she wanted to see it through. “It showed me that there was a great need for promotion, encouraging other women to get moving forward, because we can do it,” she said. McKinley hopes to soon see more women behind the wheel of their own companies. 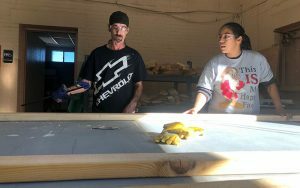 Corey Foster, who manages ADOT’S workforce development program, said bringing women and minorities into the construction academy is filling an industry need for skilled workers. 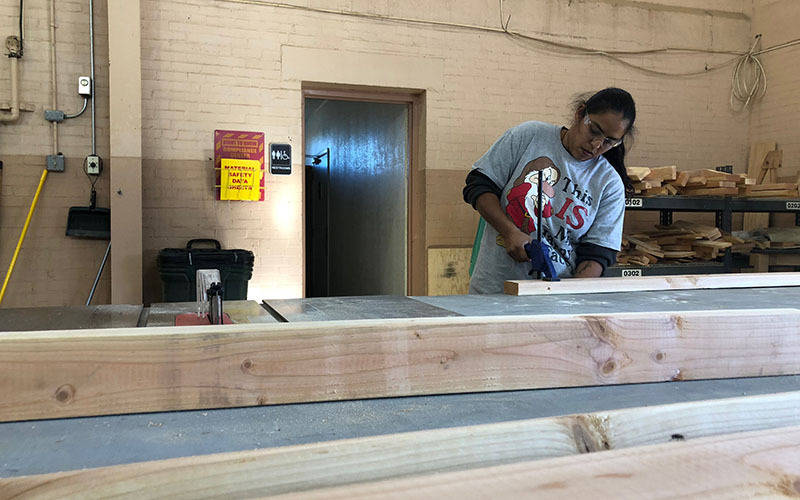 Iris Bost, who graduated from the program last year, started her own business teaching safety classes for ADOT at a Gila Community College facility in Miami. When she first inquired about the program, she asked whether women were allowed to participate. Gila Community College offers a hands-on experience to students participating in the program. They work at various stations, honing such skills such as machinery work, wood building and welding. “I got the building trades and skills that I need to be on the job,” Bost said. Programs are tailored to people’s schedules, preferences and how much training they need. Sessions range from a week to 16 weeks and are offered in the evenings. Each person is able to choose specific courses, such as mathematics or blueprint reading, that correlate to the job they seek. Graduates receive certifications and all the equipment they need to be successful at their next job. That could be a hard hat or safety boots. Foster said the certifications often lead to higher pay. More than 200 women have graduated from the program since it began in 2014, according to an ADOT spokesman. In addition, 301 Native Americans who graduated from the program within the past year were placed directly into jobs, Foster said. McKinley of KHAVL Transport said the program is a building block for more women to be involved in construction. “We live in these communities that we’re building up and reconstructing, so I want to see women in the communities that they’re building in, working in,” she said.